Over years of research and studies, unprecedented and unique tuning tapes “Big-Band” has been developed that can ultimate signal flow of signal cables to include analog and digital. it also significantly improve the current conductance of AC power cords. Due to the increasing popularity of easy and handy IT music entertainment tools such as mobile and smart phones, the opportunity in use of headsets and headphones have been sharply in growth. Even sophisticated headsets and headphones designs, the problems for the resonance phenomena and their effect, however, have been remained unchanged. Harmonix “Big-Band” tuning tapes, likewise, other Harmonix tuning devices such as RF-5700, improve the signal transmission when applied to analog and digital signal cables, headphone cables and speaker cables, and better conductance when applied to power cords. 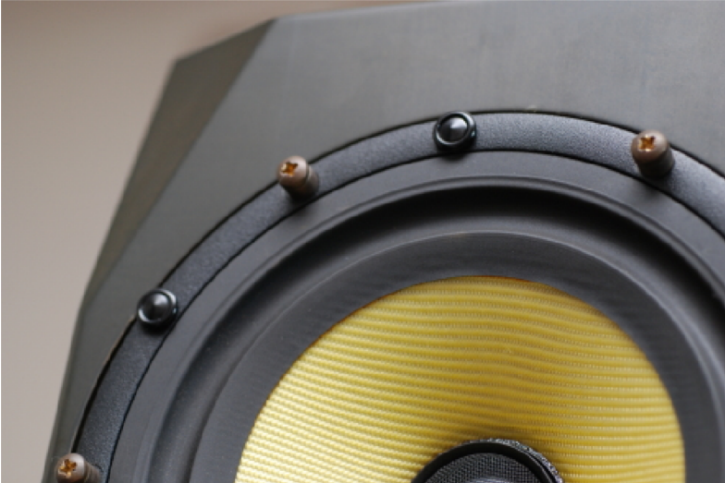 In case, the sound quality of Car audio systems matter seriously, “Big-Band” tuning tapes will do the same improvement of car audio systems as well. The improvement is no least and let car drivers comfortably relax and increasing more pleasant in listening car audio systems. 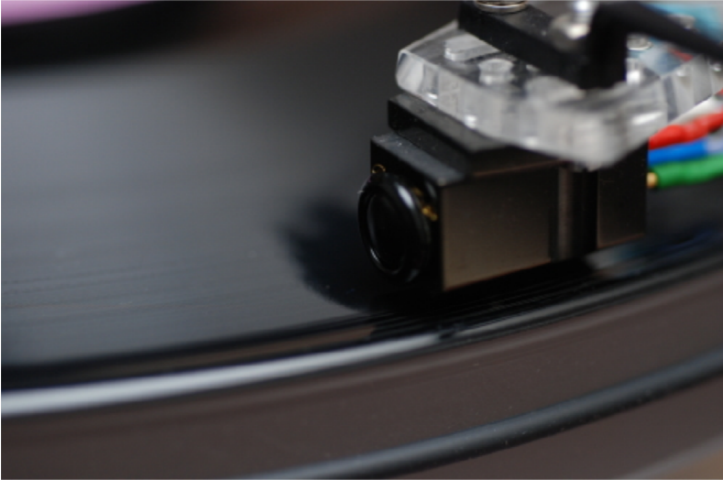 Moreover, “Big-Band” can also tune the tone-arm of analog LP players. Tuned with “Big-Band”, the sound quality will become much more natural with rich details and harmony. “Big-Band”, in many respects, acquire better appreciate the ambient information of a live musical performance and promises serious music listeners to satisfy and increasing the joy of music listening entertainment in any cases. Materials Special made Japanese “Washi” and copper sheet. 2) Do not use on heating elements. 3) Dry cloth only to clean the surface of the tuning tape. How to use How to use "Big-Band"
Besides standard and super tweeters, even such highly delicate elements as Cartridge headshells and tonearms need proper tuning if they are to deliver a true reproduction of the original sound. 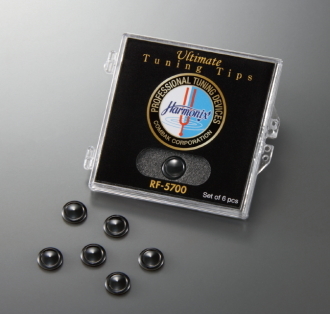 Harmonix RF-5700 Tuning Tips are crafted to perfectly tune even the most delicate and sensitive elements to ensure they provide the level of performance they were designed to achieve. RF-5700 Tuning Tips deliver unsurpassed clarity, rich details, a spacious sound stage, deep dynamics, harmonic warmth, stunning musicality, as well as sweet and wider frequency bands. The impact and improvement that the RF-5700 delivers are simply astonishing! RF-5700 is small in size but big in performance. 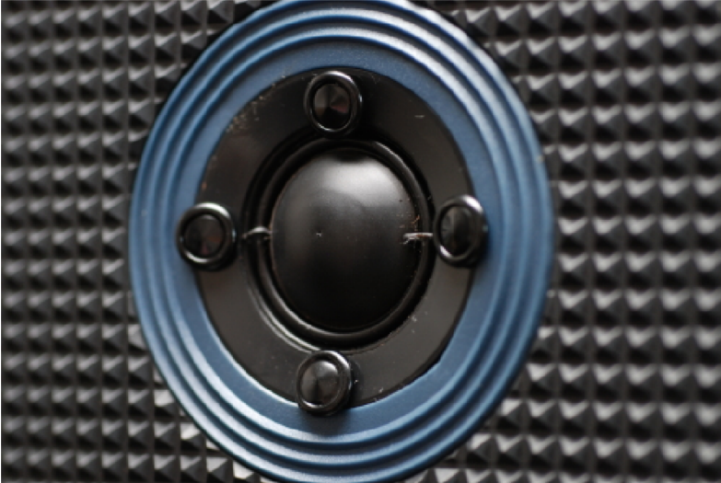 Simple and easy to install, RF-5700 Tuning Tips are an affordable addition to even the most modest audio budget. 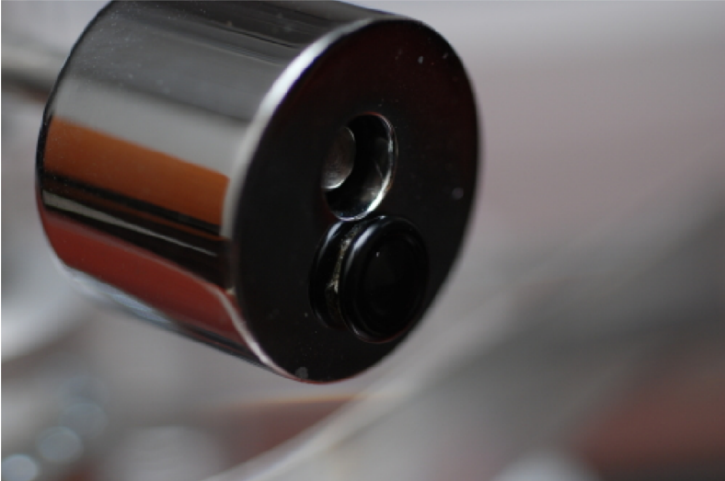 1)One RF-5700 on the top or side of the cartridge headshell. 2)One RF-5700 on the back of tonearm. 3)Four or more RF-5700 around turntable platter. *Caution: Do not attach RF-5700 direct onto needle.